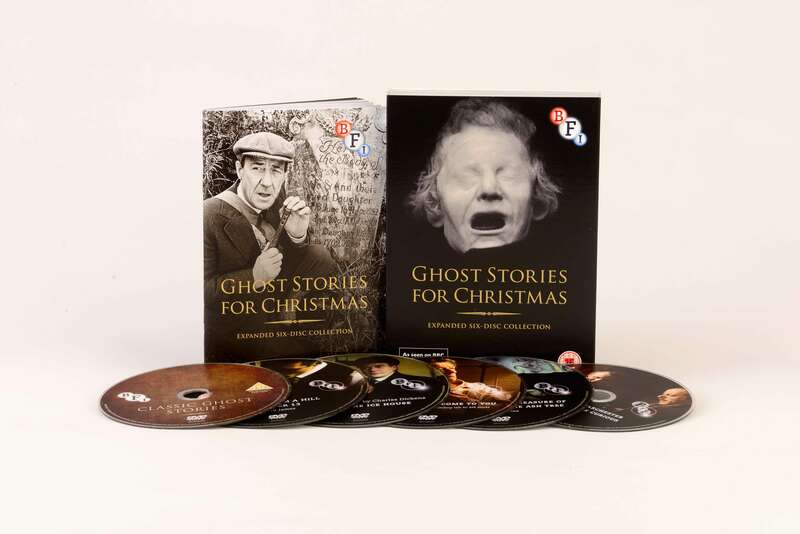 Broadcast in the dying hours of Christmas Eve, the BBC’s A Ghost Story for Christmas series was a fixture of the seasonal schedules throughout the 1970s and spawned a long tradition of chilling tales which terrified yuletide viewers for decades to come. 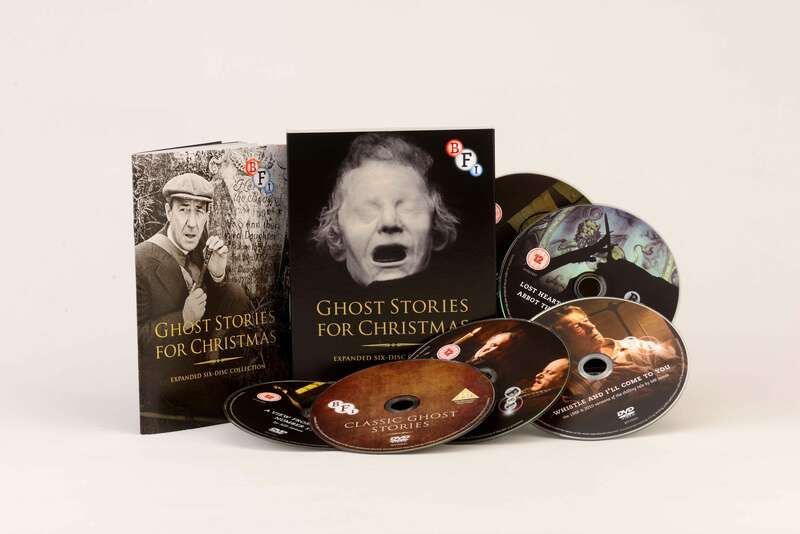 This expansive edition collects over 13 hours worth of content, including all 12 episodes of the classic A Ghost Story for Christmas series, the M R James episodes of Spine Chillers (presented by Michael Bryant), the entire Classic Ghost Stories series (presented by Robert Powell) and three of the Ghost Stories for Christmas with Christopher Lee instalments from 2000. Whistle and I’ll Come to You (1968, 42 min); Whistle and I’ll Come to You (2010, 52 min) Jonathan Miller and Christopher Frayling discuss the 1968 version (2012, 3 min) Introduction to the 1968 version by horror writer Ramsey Campbell (2001, 16 min) M R James original story read by Neil Brand (2001, 42 min) Ramsey Campbell reads his own M R James inspired story The Guide (2001, 27 min). The Stalls of Barchester (1971, 45 min); A Warning to the Curious (1972, 50 min) Filmed introductions by director Lawrence Gordon Clark (2012, 10 + 12 min) Ghost Stories for Christmas with Christopher Lee The Stalls of Barchester by M R James and A Warning to the Curious by M R James (2000, Eleanor Yule, 2 x 30 min). The Lost Hearts (1973, 35 min), The Treasure of Abbot Thomas (1974, 37 min), The Ash Tree (1975, 32 min). Filmed introduction by Lawrence Gordon Clark (2012, 11 min + 11 min + 8 min). The Signalman (1976, 39 min), Stigma (1977, 32 min); The Ice House (1978, 34 min). Filmed introductions by Lawrence Gordon Clark (2012, 11 min + 9 min). A View from a Hill (2005, 39 min), Number 13 (2006, 40 min). 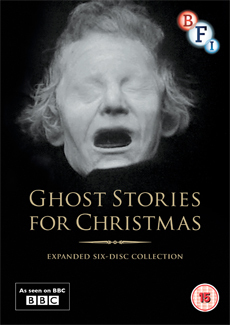 Ghost Stories for Christmas with Christopher Lee, Number 13 by M R James (2000, Eleanor Yule, 30 min). Classic Ghost Stories The Mezzotint, The Ash-Tree, Wailing Well , The Rose Garden and Oh, Whistle, and I’ll Come to You, My Lad (1986, 5 x 14 min). Spine Chillers ’The Mezzotint’ , ’A School Story’ and ’The Diary of Mr Poynter’ (1980). 48-page booklet with essays and full credits.